NEW YORK—Following public outcry over his mishandling of Baltimore Ravens running back Ray Rice’s aggravated assault of his then-fiancée, NFL commissioner Roger Goodell announced Tuesday that the league has adopted a new zero-tolerance policy toward all videotaped domestic abuse. 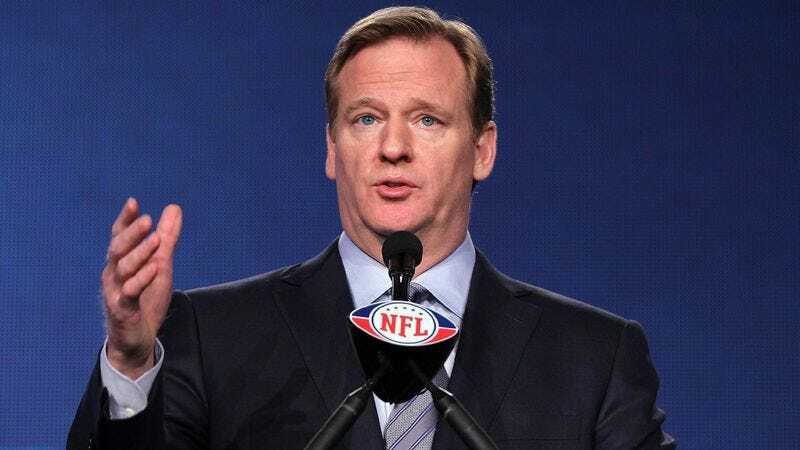 “We hold our players to the highest standards both as professional athletes and as people, so any violence toward women that is recorded, authenticated, and then publicly distributed will be met with an automatic suspension and fine,” said Goodell, adding that the new, stricter guidelines reflect the league’s hard-line stance against any spousal abuse that is clearly and irrefutably captured on film. “I can assure you that any member of this league who strikes a woman in front of a live camera will face swift and heavy consequences. I also want to stress that this utterly reprehensible behavior is something we will in no way tolerate as long as the footage is completely uninterrupted and the entirety of the assault takes place within frame.” Goodell went on to clarify that in such cases, the NFL will cooperate fully with local authorities as soon as the league can no longer prevent incriminating evidence from being leaked to the media.